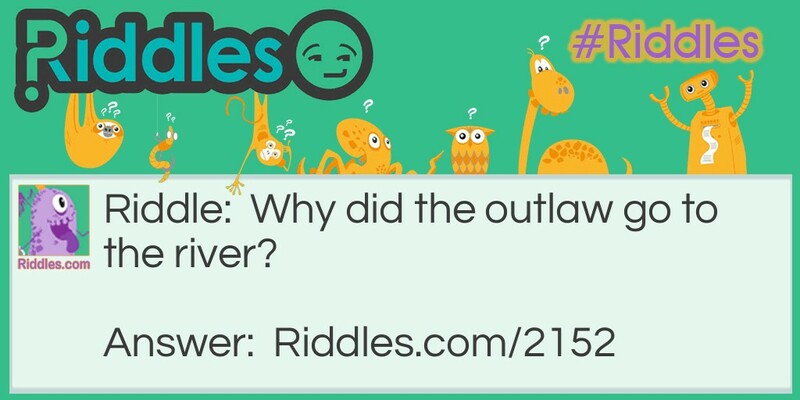 Why did the outlaw go to the river? He heard it had two banks. River Riddle Meme with riddle and answer page link.